Bestial metal resides deep in the underground and it rarely peeks its ugly head out of it. 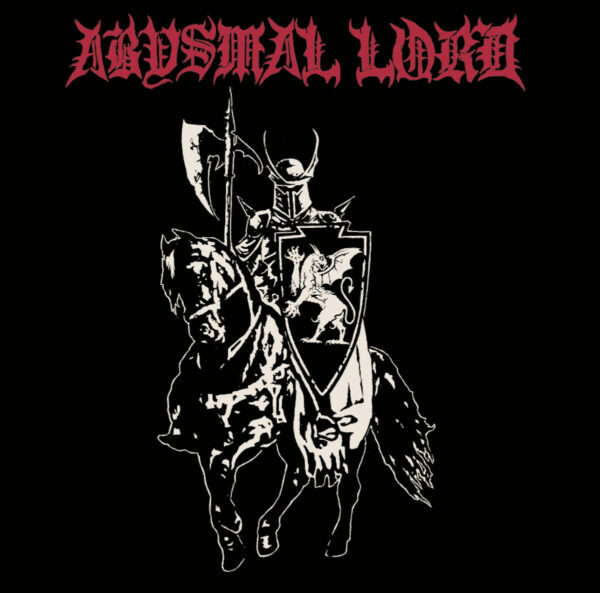 Being an avid fan of the so called bestial metal, the most venomous, ferocious and cruel version of the combined genre Black / Death metal, it would actually be difficult to point out a release better than the joint release between two forces of the underground from the United States, to describe what the genre is all about to someone new to it. After approximately a minute of a demon voice arguing with a church organ, Abysmal Lord come crushing in with ‘Throne of God (Forced Abdication)’ and if the titled doesn’t explain it, you should know this is a forceful entry, brought to you by assaulting instrumentation, followed by gurgling glass splinters mixed with battery acid kind of vocals. During the second half, the song slows down a bit, but this is only temporary. Soon it kicks you in the face again with some ferocious guitar work and mercilessly pounding drums. The second song begins in a similar manner and after the slow part, you get attacked by the explosive drumming and violent screaming. Coming in just shy of 8 minutes for two songs, you got introduced to the fast and ferocious side of bestial metal. If the name of the band doesn’t tell the whole description of the music they play, let me introduce you. Crurifragium was a type of torturing and executing people in ancient Rome, where people crucified had their legs broken, so they could not pull their selves up to cling on to life longer. With no support from the lower parts of their bodies, their chest collapsed and they couldn’t breathe any more. So, while extremely cruel, this type of execution was actually merciful to the victims as they died quicker. Crurifragium (the band) occupy the B side of the split with a single just over 9 minutes in length song. While the song is slower than the two on the side A of the split, it’s even more terrifying and primitive. This very diverse song is packed with changing tempos from slow to mid paced and fast, some violent jamming, some interesting leads and solos and vocals which give the idea that the vocalist lost his mind during the recording of this song.